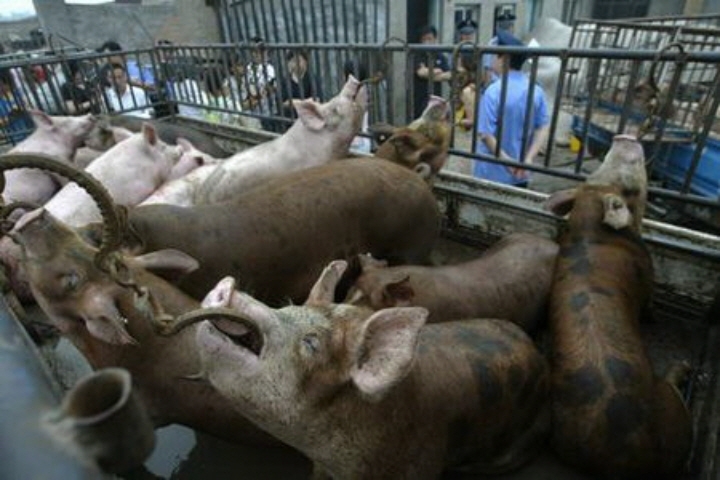 China: Times They Are A Changing – For The Better For Chinese Animals And Their Welfare. We are giving a few links here about animal welfare / rights in China as we see this as a very forward moving area; much more so than certain areas of Europe where some governments just refuse to accept animals as sentient living creatures that deserve our protection during their lives; a basic requirement – nothing special about that. There is a lot of information here, and so we provide links to the many write ups on the situation in China. We leave it to individuals to select what they wish to view by clicking on the links provided. Much of the news is very positive and we take great satisfaction from the fact that animals in China will certainly have better treatment in the future than they often have had in the past. We offer support and congratulations to all the activists, groups and individuals who are working to make things much better for animals in China. SAV. I have questioned myself for a while if I should actually show the following. I have provided them to UK welfare groups going to China for additional ‘support’ for their campaigns. 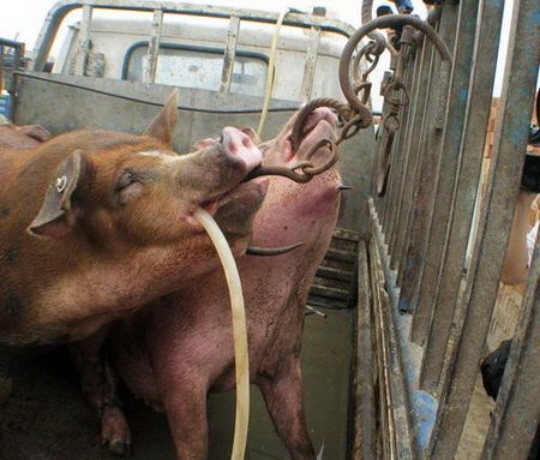 The pictures are probably around 10 years old now and show pigs in China going for slaughter and how they have been treated in the past. These photos were taken undercover. You can see the hooks going through the lower jaws of the animals and how they are then restrained on vehicles taking them for slaughter. I have had these pictures in my private collection for many years and they have never been released. With the growing movement of animal welfare and rights in China I now feel that these must be shown as a memory of how animals were treated until recently. Many people will be shocked by these, but this is the reality of animal treatment and cruelty. These photos could have come from many places in the world which treats animals as throw away trash. I hope that people will see these and gain more respect for living sentient creatures wherever they may be located in the world. We don’t ask much, only that all animals are treated with respect and as sentient beings. Like you and me, if you kick them, they hurt. There is no difference; they are NOT different, so lets not pretend or think that they are, as some governments and people do.